So, you’re learning Japanese, huh? It’s going really great…and then you realize you have to learn to read it as well. Maybe speaking, listening and learning vocabulary with romaji (roman alphabet) is easy, but learning the kanji (the Chinese characters)? You’ve tried everything, and nothing seems to work. People tell you that you need to be able to read about 2200 of these monsters in order to be fluent. Not only that, but you have to memorize multiple readings for each of them. Ugh. Well, don’t run away screaming just yet. It’s far from impossible. Here are some tips and tricks to set you down the right path to memorizing kanji as fast as possible. Don’t allow yourself to fall into the habit of using romaji. Just don’t use it. It’s an evil crutch that only serves to make you feel more comfortable…falsely. Ideally, you should learn hiragana and katakana—the two sets of Japanese phonetic alphabets—right away. When you need to translate a kanji into something more readable, rather than using the roman alphabet, use one of the two sets of kana. It helps you to gain more exposure, and—let’s face it—you’re going to have to learn to read them eventually. In Japan, every foreign word (yes, even the McDonalds menu) is going to be written in katakana. Learn to read it now. Hiragana is used for some Japanese words that lack kanji or have overly difficult kanji that are falling out of use. They also serve as particles and as part of verb conjugations, making them an essential part of overall Japanese grammar. The number of hiragana and katakana are few relative to kanji—just 46 of each. You can easily memorize them in less than a week with regular repetition. There’s no real trick to learning them. Just keep at it. There are an abundance of free and premium resources and apps on the market to help you out. Just get it over with and let the sense of accomplishment carry you into you kanji feeling empowered. One of the most important things you can do is set achievable goals. How quickly do you want to do this? Is it realistically feasible? It’s probably not going to happen in one day, so let’s try something doable. Let’s say you want to master all of the 2200-ish joyo kanji you need to learn to be “newspaper fluent” in one year. That means you need to study about 6-7 new kanji every day. Is that possible? Maybe. Maybe not. Only you can answer that question. With your current schedule, can you learn 7 new kanji completely every day including the meaning and the readings? If you can, great! If you can’t, you may need to set a more realistic time frame. Maybe two years is more realistic for you. Don’t think of that as defeat—just see it as taking more time to do it right. It’s not a race. Remember, don’t push it. Burn out is one of the most severe problems in language learning. Don’t fall victim to it trying to hit some superficial deadline you were never going to be able to meet. Be honest with yourself. 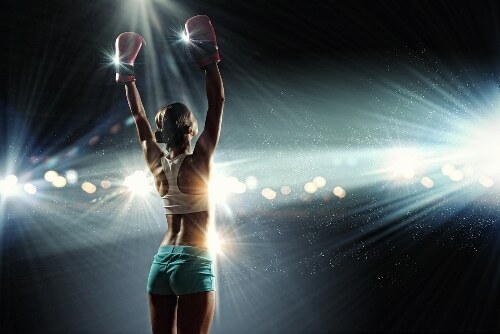 If you set too big a goal early on and can’t meet it, you may find yourself wanting to quit. Avoid that pitfall by not dreaming too big to begin with. There’s the added benefit of making learning a part of your life, but not allowing it to consume your life to the point where you start to hate it. One of the first things you need to decide is in what order you’re going to learn kanji. One way is to follow the Japanese way—learning how they learn. They learn by advancing difficulty in meaning (not image). This means that you may be learning some really complex kanji early just because they have simple meanings. I don’t really recommend this method for that reason. If you’re already using or planning to use a guided system like Heisig’s “Remembering the Kanji” book or app, just go with the order presented. It’s already there, so why not? Less to worry about. Another road you may be taking is the Japanese Language Proficiency Test (JLPT). You would start with the lowest level kanji (N5) and work up to the highest (N1). You could also simply learn by number of strokes. Start with the kanji with the fewest parts and work up from there. This method has the advantage of not overburdening you with really complex kanji early on. If you’re not already following some kind of guided course, I would recommend this method for self-study. Whatever method you choose to use, just be consistent. It’s much easier to keep track if you’re not mixing things up. Radicals are the building block images that make up a kanji. For example, the kanji for “autumn” is 秋 Notice how it contains two clear parts: 禾 and火. The first part is the “two-branch tree” or “grain” radical, and the second part is the radical for “fire.” Radicals have different names depending on what source you look them up in. I would recommend sticking with the official radical names for less of a headache, but you certainly don’t have to. Heck, call it the “zombie” radical if you want. Just be sure you don’t forget it! A list of traditional radical names can be found for free here. I would recommend creating (or finding) an SRS deck containing the radicals and begin to study those first. A lot of them are even stand-alone kanji themselves. Just like learning the hiragana and katakana, just get it out of the way early. Use the feeling of accomplishment gained from memorizing this small list of radicals to propel you forward again! Get yourself a great spaced repetition system (SRS) like Anki to create flashcards and review them every day. If you’re unfamiliar with SRS, they’re basically smart flashcards. The cards you perform badly on appear more frequently in your review sessions, while cards you easily recall appear less frequently. Anki has loads of premade flashcard sets including the joyo kanji. If you’re going the JLPT route, you may want to download sets including the kanji for the various levels of the test and learn them in order. “Remembering the Kanji” sets are also available. FluentU is a site and app that has supercharged, multimedia flashcards—just one of the many tools that make up its complete Japanese immersion program. 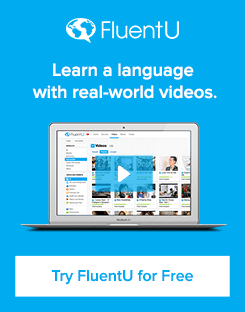 FluentU helps you learn using a huge collection of authentic Japanese videos—videos that native Japanese speakers actually watch. So when you’re learning a word or phrase, each SRS flashcard has multiple video clips, audio, an image and example sentences. The real-world, entertaining context makes a world of difference when it comes to speed of learning/memorizing! One of the biggest benefits to SRS is it allows you to budget yourself. You can set limits for the maximum number of new cards and reviews each day so you don’t tire yourself out. So if you’re following the one-year plan, you might have the new card limit set to 7, so you’re getting those 7 new kanji a day to keep pace. I would recommend keeping the max number of reviews at 25. Maybe you can handle more or less, and that’s okay. Just be honest with yourself. If you’re feeling fatigued from 50 reviews a day, cut back. There’s no shame in that. There are other options as well. Try Memrise. Memrise allows you to download premade decks made by your fellow learners just like Anki. They have decks already for all of the JLPT kanji and “Remembering the Kanji” as well. With both radicals and kanji, you can build mnemonics to aid you in recalling the meaning and even the readings of a character. There are resources out there, like “Remembering the Kanji,” that provide these stories for you, but I find it’s better to just make up your own stories. It’s a lot more fun too. Let your creativity loose. It’ll even help aid you in recalling it later down the road. When it comes to these stories, the crazier the better. Going back to the “autumn” example from earlier, we had “fire” and “grain.” Okay, not too difficult. “In the autumn, crazy people always come out and try to burn down our grain harvest with flamethrowers. They really don’t want us to eat!” A ridiculous story sticks around in your mind much better than a run-of-the-mill story, so get your crazy on! A lot of readings are recycled between different kanji. Because of this, you should be consistent in your mnemonic words. For example if you choose to make “shuu” into “shoe” then you should try to do that every time “shuu” pops up in your stories in the future. The English word “shoe” will immediately associate with that reading in your mind as you go over the stories. For readings, you can use Denshi Jisho, a free online Japanese dictionary, to search for the kanji and look for vocabulary containing the kanji. The reading present in the most vocab words is probably the one you most need to memorize. Pro Tip: The on’yomi (Chinese readings) are easy to incorporate into stories. The kun’yomi (Japanese readings) sometimes aren’t. But the Japanese readings are often vocab words (sometimes verbs) in themselves, so they can be studied separately as vocab. The on’yomi are useful to memorize with the story because they are often what are used in compound kanji words. If you’re using Anki, you can add your stories right onto your cards. Or you can keep them separate. As long as they’re organized and you’re continuing to study them, it’s fine. Many people would argue for the uselessness of learning to write kanji in this day and age. Even some jaded Japanese children might argue it. With digital communication and typing taking over for the hand-written letter and written shopping list, anyone can see why this would seem like a waste of time. However, for a lot of people, writing something does help them to remember. It’s the same reason your high school teachers let you make a notecard before the test and then you didn’t even need to use it. Making that notecard forced you to study the material and even helped you to retain it. The fact is the more tools you’re using the better. Sure, you don’t have to learn to write them. But it would only help you to retain them even easier when combined with the mnemonics and the SRS. What good is all this work if you’ve got nothing to show for it, right? Get out there and pick up a Japanese newspaper or look at something written in Japanese on the internet. As you progress, try to identify as many kanji as you can on a regular basis. As you see that number continue to grow and grow, you’ll be able to ride that high of prideful accomplishment to persevere through more and more kanji learning. Keep at it and soon enough, there won’t be a single kanji on that page you can’t identify.